The LGBT Aging Project is celebrating their 10th anniversary "A Decade of Change: Invisibility to Inclusion" with a cocktail reception honoring David Wilson who will receive the OUTstanding Hero Award. David & his partner Rob Compton were 1 of the 7 plaintiff same-gender couples in the successful fight that legalized gay marriage in Massachusetts. On May 17th 2004 David & Rob they became one the first gay couples in the United States to legally marry. David currently serves on the MassEquality Board, the national Business council of HRC & as a member of the Massachusetts Commission on Gay, Lesbian, Bisexual & Transgender youth & serves as a mentor with youth of color at risk programs at PFLAG, GLEN & SpeakOut. The reception is this Wednesday Nov 16th from 6-8 pm. Openly gay TV personality David Brown will host the event which will be held at Microsoft New England Research & Development Center 1 Memorial Dr in Cambridge. Tix are $75. 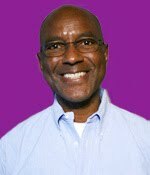 Come celebrate the 10th anniversary of the Boston-based LGBT Aging Project as we honor David Wilson with the LGBT Aging Project’s OUTstanding Hero Award on Wednesday November 16th from 6-8 pm at the Microsoft New England Research & Development Center 1 Memorial Drive in Cambridge. The Boston-based LGBT Aging Project has been committed to ensuring that lesbian, gay, bisexual and transgender older adults and caregivers have equal access to the life-prolonging benefits, protections, services and institutions that their heterosexual neighbors take for granted. Our work has made it possible for LGBT older adults to step out from the shadows and the silence to reclaim their voice and rightful place in the community. We will mark our 10th anniversary by celebrating our progress as well as the many who have stood with us to make revolutionary change in raising awareness of the issues faced by LGBT older adults. Our first decade produced many successes from changing policy to providing concrete services such as community meal sites, cultural competency training for mainstream caregivers, and social events for LGBT older adults and their friends.